Ahaus recently completed a project for one of the world’s 20 largest suppliers to the automotive industry. Our team designed and built an automated robotic crimping cell for radiators and tanks. The customer needed a machine that completed a radiator with minimal operations consistently and quickly. 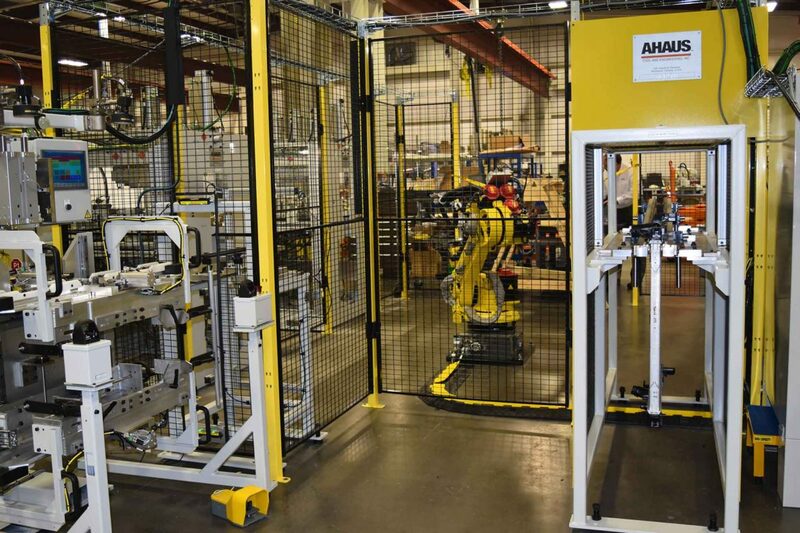 Using Fanuc robots, Festo components and Siemens software, Ahaus was able to deliver these needs, achieving reliability and speed. Throughout the project, the scope and direction changed. However, the Ahaus team worked with our customer to stay on track and adapt to make a successful project.